My name is Brad Latham. I started Curlie Joe’s in 1993. My girlfriend (Now my wife) and I began by buying an old truck and trimming palm trees to subsidize our waiter (Where I received the nickname Curlie Joe) and waitress salaries. We were blessed to encounter some building contractors who needed trash removed. 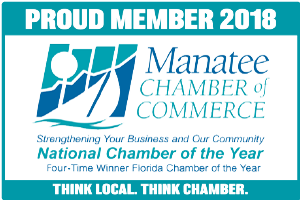 We joined the Manatee Home Builders Association and doors began to open up. I built the business with integrity, and morality and an attention to service. The company grew to include site clean-up, roll-off services, and a building material salvage store. I’m am always striving to provide more service options to our clients. Whether you need yard trash, construction debris, or a house clean-out we can meet your needs. Over the years we have gained valuable experience in finding solutions to trash problems. Let us pass that knowledge and experience on to you by way of affordable and accurate pricing and a commitment to seeing the job done correctly the first time. I look forward to meeting and exceeding your expectations for demolition, site clean up and dumpster rentals.